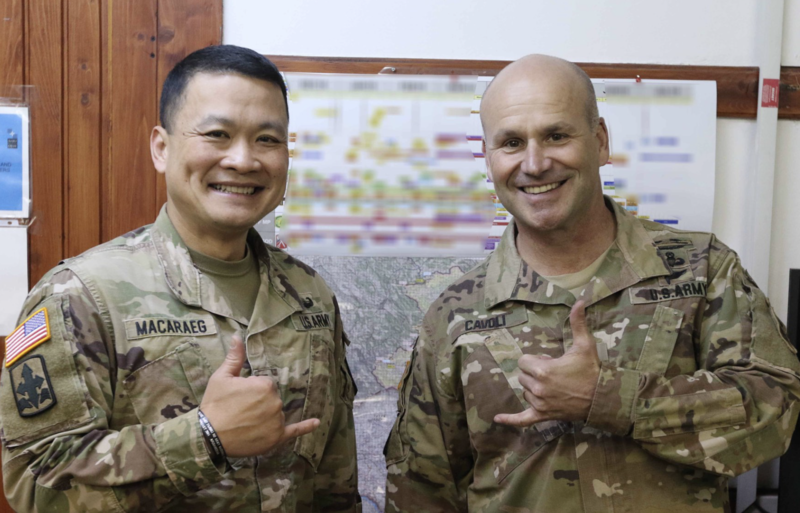 This is just Multinational Battle Group-East (MNBG–E) Commander Colonel Roy Macaraeg “shaka-ing” with U.S. Army Europe Commander, Lt. Gen. Christopher G. Cavoli. LTG Cavoli visited MNBG-East Solders on Camp Bondsteel, Kosovo, February 1, 2019. His visit included a discussion with and Soldiers representing all countries assigned to the battlegroup, and presented coins to high-performing Soldiers. The visit ended with a tour of the Camp Bondsteel facilities.